For nearly 20 years, Dan has developed award-winning technologies used worldwide in a variety of industries. Dan has split his time between large-cap companies and three startups, two of which he was founder and officer. In 2009, Dan founded and became CEO of CitizenNet. CitizenNet was one of the earliest platforms to leverage natural language processing, semantic analysis, and machine learning in order to predictively market to consumers on social media. Today, CitizenNet is the #1 platform for entertainment and branded content marketing on Facebook, Instagram and Twitter. In 2017, CitizenNet was acquired by Condé Nast, where Dan continues as VP of Data Products. Prior to CitizenNet, Dan was the Co-Founder and CTO of PhatNoise. The company’s leading-edge designs and products have earned such accolades as Popular Science's Best of What's New, and PC Magazine's Editor's Choice. In 2004, PhatNoise was winner of Frost and Sullivan’s Entrepreneurial Company of the Year Award. A year later, PhatNoise was acquired by Harman International (NYSE: HAR), where Dan continued as Vice President of Engineering. At Harman, Dan lead the teams that conceived and built the Drive+Play global line of iPod products. These products have won Macworld’s Best of Show and the Consumer Electronics Association Innovations Award. Dan holds B.S. and M.S. degrees in Electrical Engineering from University of California, Los Angeles, and is the principle author of more than a dozen patents and scientific articles. 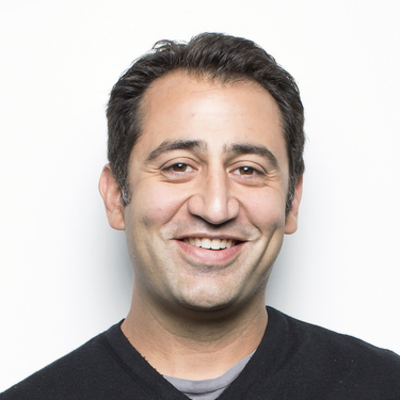 Dan is an active advisor to companies and member of the startup community in Los Angeles.